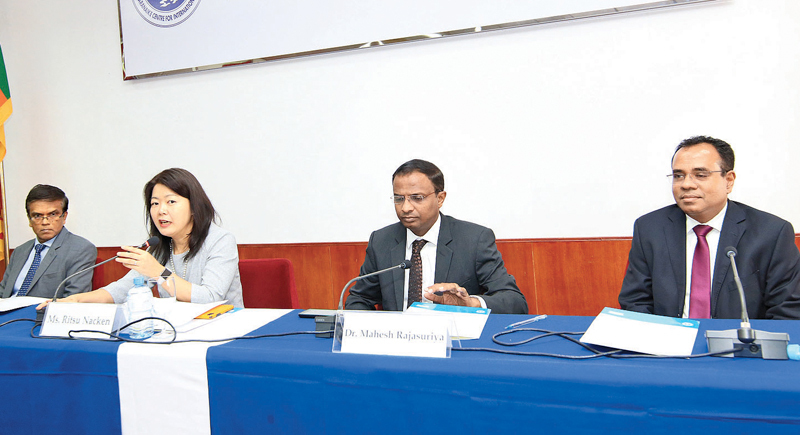 From Left: Prof Saroj Jayasinghe, Ritsu Nacken (moderator), Dr. Mahesh Rajasuriya, and Prof. Vajira Dissanayake. At a recent event entitled ‘Global Health Outlook: Challenges and Implications for Sri Lanka’ hosted by the Bandaranaike Centre for International Studies (BCIS) the speakers in attendance explored the linkages between health and global politics, highlighting the extent to which addressing the health issues plaguing Sri Lanka requires diplomacy and international cooperation to deal with forces that extend beyond the confines of national borders. It was within this context that discussions were held regarding the extent to which Sri Lanka’s health issues, their origins and the approaches to dealing with them, fit into the global health landscape as a whole. Chair Professor of Medicine at the University of Colombo Saroj Jayasinghe delivered a presentation on the issues impacting global health, exploring the intersections of corporate influence, trade agreements and the health outcomes of populations. Prof. Jayasinghe identified four main axes across which we can conceptualise the challenges facing global health. Firstly, the changes in the world which impact global health, for example climate change or global food prices. Secondly, the global health issues themselves, whether they be individual illnesses or patterns that challenge healthcare providers, for instance, dengue or an aging population. Thirdly, the evolution of health governance, for example the changing role of the World Health Organisation or corporate influence on policy. Finally, the area of healthcare provisions, research and innovation. Each of these dimensions play a role in the way particular health issues manifest and as such the way they interact must be considered when designing solutions to them. He used the example of diabetes to show how health challenges manifest in each of these domains. "If you take across, for example a non-communicable disease like diabetes, you’ll see how they link up because the changes which are impacting global health, the nutritional changes, sugary drinks, how the market access is being gained by multinationals, they are leading to an epidemic in diabetes. Not only that, when you are talking of changes in the actors who are funding it, who are funding research, who are funding services, that’s also changing. The provision of care, again there are a lot of changes because there are private sector models, even in Sri Lanka, now you have certain hospitals which are providing comprehensive care for diabetes.” Jayasinghe also noted that certain pharmaceutical companies involved in the production of insulin were now running community-based programmes for the treatment of diabetes, highlighting the extent to which there has been a paradigm shift with regard to the provision of care. Prof. Jayasinghe highlighted the need for a structural analysis with regard to diseases such as diabetes and obesity, not just focussing on the individual consumption habits that lead to their prevalence but the forces that influence these consumption habits in the first place. For instance, he drew attention to the influence of corporate strategies where there are surprising linkages between industries, referencing a British medical journal article which noted that, “The tobacco industry’s strategies are being used now, according to their internal memos, by the sugar drinks industry.” The strategies involved in this case refers to a set of scientifically informed approaches that both the tobacco and sugar drinks industry use to market their products to children. This is just one of several policies used by the sugar drinks industry as highlighted by Prof. Jayasinghe. “The information on labels are in English, so that people who can’t read in English wouldn’t know and even if you can it is in very small print, and even if you read the print it is in joules when we’re used to calories. They make it a point that you won’t get this information.” In order to counteract such strategies, Prof. Jayasinghe emphasised the importance of policies that allow us to foster increased awareness of the dangers of certain products, as well as policies that create constraints on the purchase of such products, in the service of better health outcomes. In light of such concerns, Prof. Jayasinghe highlighted the necessity of employing experts who focus on the various health implications of any project or international agreement, allowing us to give due prominence to health considerations when making decisions on such matters. Another area in which health issues and approaches to dealing with them are influenced by transborder forces, is in the area of mental health. Senior Lecturer in Psychiatry at the University of Colombo Medical Faculty, Dr. Mahesh Rajasuriya spoke on this topic; specifically, with regard to misconceptions within the public discourse regarding mental health, as well as the influence of various actors in shaping both this public discourse and the wider policy agenda for their own benefit. Dr. Rajasuriya further noted that the thinking of psychiatrists has become increasingly shaped by an unnuanced vocabulary, which centres prescription as the locus around which their thinking about mental health revolves. Dr. Rajasuriya pointed out that even with regard to research into the efficacy of certain drugs, corporate interests have manipulated the process. 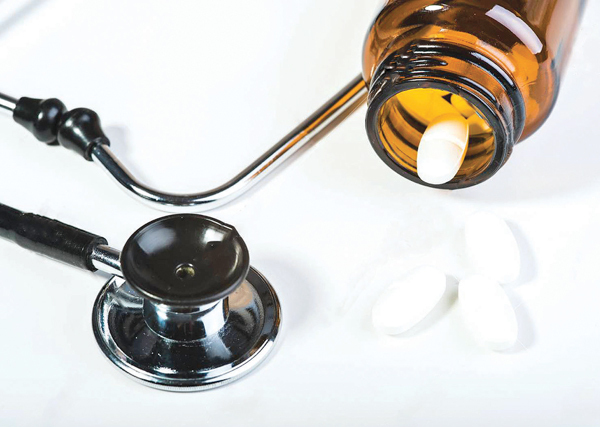 “Evidence based medicine is wonderful, but evidence generation has been hijacked by powerful industries and their interference in policy making.” The kind of influence on evidence generation that Dr. Rajasuriya speaks about can be seen in a 2017 review conducted by the Cochrane Database of Systematic Reviews, a key resource in summarising and interpreting medical research, which found that ‘Sponsorship of drug and device studies by the manufacturing company leads to more favourable efficacy results and conclusions than sponsorship by other sources.’ Furthermore, Dr. Rajasuriya argued that an overly simplistic narrative of the causes of mental illness was being propagated in public discussions, namely the narrative that mental illnesses were purely a result of chemical imbalances in the brain. On his account, due prominence must also be given to the social and psychological factors that together with physical considerations come to constitute the bio-psycho-social model of mental illness, the standard model by which mental illness are approached in the psychiatric discipline. As such, Dr. Rajasuriya was quick to downplay the idea that mental health could be achieved simply through the taking of medication. “Studies have shown that cognitive behavioural therapy can be just as effective as anti-depressants. If it is only chemical how can that be the case? This chemical aspect is also important, but it is not the only thing,” Dr. Rajasuriya said. Though Dr. Rajasuriya identified several key challenges regarding the dynamics of global mental health, he also highlighted the progress made in terms of mental healthcare provision in Sri Lanka, with a susbstantial increase in the number of practitioners apparent in the last 15 years. In recent years, information and communication technologies have come to play a significant role with regard to almost all areas of human activity. The digital revolution has transformed the way we share information and deal with global problems. In this context, the use of ICT in our attempts to achieve better health outcomes has assumed greater prominence in health policy across the world. The topic of ‘Digital Health’ in Sri Lanka was explored by Senior Professor of Anatomy at the University of Colombo Medical Faculty Vajira Dissanayake. Prof. Dissanayake gave an overview of the Ministry of Health’s efforts to bring the benefits of the digital revolution to Sri Lanka’s patients. One example of the kind of digital system he highlights can be seen in the incorporation of the ‘District Nutrition Management System’, which has been used to help tackle the malnutrition problem facing many children in the country. Prof. Dissanayake explains, “What we did was we built a smart phone app, a web-based system connected with dashboards. This app is local language customised so the midwives can use it freely. A simple device which is used to monitor children. It’s now implemented in several districts. At the moment we have more than 20,000 children being followed up, it’s going to scale up to other places as well. Indeed, as Prof. Dissanayake details, the rapid advances made in the field of digital health have already produced encouraging results and the effects of this paradigm shift will become more and more apparent in the coming years, with new cohorts of locally trained health informaticians continuing to find innovative solutions to Sri Lanka’s health problems.